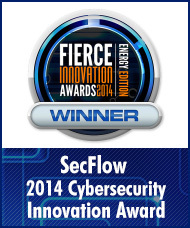 RAD's SecFlow cybersecurity product family has been recognized with the 2014 Fierce Innovation Cybersecurity Award, presented by the publishers of FierceEnergy and FierceSmartGrid. RAD’s SecFlow ruggedized Ethernet switch/router provides resilient, managed cybersecurity controls specifically designed to address the needs and vulnerabilities of power utilities. 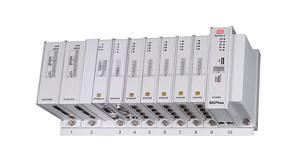 NERC-CIP compliant and IEC 61850-certified, SecFlow multi-functional devices combine communications and critical-asset protection to enable SCADA, Ethernet and IP security in remote substations. 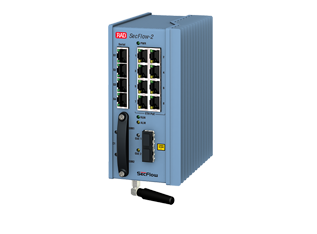 SecFlow uses deep packet inspection, encryption and a distributed service-aware firewall to secure and monitor all industrial protocol commands between RTUs, control stations or HMIs to verify authenticity and validity. Winners of the Fierce Innovation Awards: Energy Edition were selected by a panel of judges from companies such as Pacific Gas and Electric, San Diego Gas & Electric, Portland General Electric, CenterPoint Energy, Duke Energy, Florida Power & Light, and Commonwealth Edison. Products were evaluated based on technology innovation, financial impact, market validation, ability to integrate into existing network environments, end-user customer experience, and overall level of innovation. SecFlow is part of RAD’s comprehensive Service Assured Networking solution, which delivers mission-critical reliability, smooth-migration to NGN communications and robust security. RAD is a leader in secure communications solutions for the critical infrastructure of power utilities and other segments of the energy industry. Our Service Assured Networking solutions include best-of-breed tools for cyber security and mission-critical communications, as well as for seamless migration to modern packet switched networks and applications. RAD provides field-proven solutions for operational WAN, ruggedized substation LAN, automation backhaul, Teleprotection, wireless PTP/PTMP, and broadband mobility. Founded in 1981, RAD has an installed base of more than 15 million units and is a member of the $1.35 billion RAD Group of companies, a world leader in communications solutions.